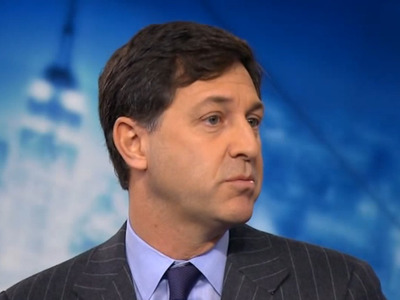 BloombergBlair Effron, a founder of Centerview Partners. The boutique investment bank Centerview Partners is having a monster year. It has advised on some of the biggest deals in 2017, including the $US69 billion CVS-Aetna merger and Disney’s $US66 billion buyout of 21st Century Fox’s film and TV assets. With 37 senior bankers on staff, the small firm is projected to pull in as much as $US13.5 million a partner. In the first two weeks of December, two industry-shaking transactions hit the wire: CVS Healthcare announced a deal to acquire Aetna for $US69 billion, and Disney agreed to buy $US66 billion worth of 21st Century Fox’s assets, including debt. The boutique investment bank Centerview Partners advised on both megadeals, setting itself up for a major payday if the combined $US135 billion in deals close and launching it to 10th place on Wall Street’s mergers-and-acquisitions league tables. The December deal frenzy caps a stellar year for the firm. Since August, it has advised on five announced transactions worth over $US10 billion, including Gilead’s $US12 billion takeout of Kite Pharma, Vantiv’s $US10 billion buyout of Worldpay, and the $US18 billion sale of Toshiba’s memory-chip unit to a group of buyers led by Bain Capital. Centerview has now leapfrogged Evercore, a fellow independent, on the M&A league tables, with $US213 billion in announced deals to its name and an average deal size of $US11.2 billion, according to Bloomberg data. On a per-banker basis, few banks are having a better year than Centerview, founded in 2006 by Blair Effron, a former UBS stalwart, and Robert Pruzan, the former Dresdner Kleinwort Wasserstein star. The firm has just 37 partners yet routinely battles for high-profile assignments with Wall Street’s bulge-bracket banks. By comparison, Citigroup promoted more than 30 new managing directors in its corporate and investment bank this week alone, and in November Goldman Sachs promoted 101 new investment-banking MDs. Centerview is projected to earn $US400 million to $US500 million this year from advising on M&A deals, according to Jeffrey Nassof, the director of the consulting firm Freeman & Co.
That works out to as much as $US13.5 million in revenue per partner. And that figure doesn’t include fees from the CVS-Aetna or the Disney-Fox deal, according to Nassof, as roughly 90% are paid out when a deal closes. Those could bring in as much as $US70 million in fee revenue for the bank. Centerview has more than 10 deals valued at over $US1 billion that have been announced but not closed heading into 2018, meaning the plucky boutique is tracking to have a very rich 2018 as well.